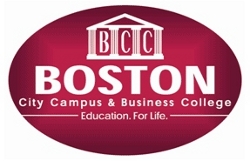 As one of South Africa’s leading tertiary education institutions, Boston City Campus & Media House prides itself on providing a range of study options to suit the needs of all prospective students. This includes offering a range of short courses which allow students to either improve their existing qualifications or provide new students with basic skills which can be used to secure a job. ‘Boston Media House, in particular, remains a popular choice for those wanting to pursue a career in media whether it be in advertising, radio or music production. These courses are highly sought after due to the balanced mix of practical and theoretical tuition which equips graduates with the practical skills to be able to do the job,’ says Ari Katz, CEO of Boston City Campus. He adds that Boston City Campus also recognises that finances are often a concern for students which is why the college offers a number of payment options for short courses so that students can concentrate on their studies rather than stressing about how they are going to pay the bill. If you are thinking of going into design then Boston’s graphic design course is an excellent option to consider. This course covers all the fundamental information on graphic design theory, reproduction and print. You will master popular graphic design programmes such as Adobe Photoshop and other software. On completion, students are able to design anything from brochures and adverts to websites. On the radio side, Boston offers a range of courses from Radio Production, Radio Presenting, Digital Music Production as well as a course in Digital Music Compostion & Production offered in conjunction with independent dance record label Soul Candi. The Radio Production Course introduces students to the fundamental concepts of radio production and by the end of this course they will be able to script and produce radio shows. Boston Media House’s simulated on-air studios and production studios provide individuals with the opportunity to practice what they have learnt in theory. If you want your voice to grace the airwaves, this is the course for you. As with the Radio Production course you will master the basics of radio production but you will also learn the basic aspects of radio broadcasting including how to operate a radio station to programming and creation of radio documentaries. Onsite training in real studios ensures individuals are able to fulfill the role of a radio presenter or DJ. For those wanting a career in music in particular music production, Boston Media House offers two courses. The Digital Music Production course covers basic music production, post production, technical producing and studio engineering. It will ensure that you know your way around most Digital Audio Workstations and have an understanding of mixing consoles and control surfaces. Boston Media House’s innovative Digital Music Composition & Production is offered in conjunction with Soul Candi and teaches students how to integrate modern music composition using the latest music production techniques. This year-long course equips you with the skills you will need to enter the exciting and vibrant life of music production.